It was nice to see a returning customer visit the Northern Optics outlet , which is open at the Waters` edge visitor centre at Barton Upon Humber. He was in the market for a pair of 10×42 binoculars to replace his ageing set that were in a little need of TLC. 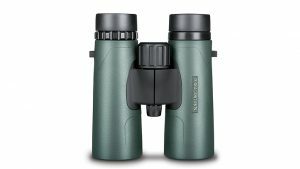 Yet after trying the Hawke Nature trek 8×42 binoculars, he was won over with the image quality, and soon realised that bird-watching is not all about magnification. He did also try the ED glass endurance range. Although they gave much less false colour (chromatic aberration) , the Nature Treks were more than adequate for his trips to the local wildlife reserves. These come with fully multi-coated optics and a wide field of view. Soft case, padded neck strap, lens covers and a comprehensive warranty . This entry was posted in Hawke Binocular Reviews and tagged 8x42, hawke, nature trek. Bookmark the permalink.